In autumn, there are a lot of traditional festivals in Japan. In Tokyo, festivals are held in a lot of areas. This time, in addition to the information of the festivals, we want to introduce the events in which you can experience Japanese culture and history, the modern art events and the food events. They are popular events you can enjoy in Tokyo today. It is okay to find events you have an interest in, or feel free to visit the events when you go nearby. Let’s check the recommended events in season and let’s go there. That will be a wonderful memory. In “Fukuro Festival” by the residents in the Toshima-ku area, the first half of the festival is held in late September every year, and the latter half is held in early October. In the first half of the festival, a dance show, a band performance, Wadaiko – Japanese drums – performance, and an amazing “festival of Mikoshi – a potable shrine” are held. In the festival of Mikoshi, about 30 mikoshis make a “Mikoshi Big Parade,” and especially “Yoi-Mikoshi; Mikoshi in the evening” is so spectacular. In the latter part of the festival, “festival of dancing” such as Kappore, Sado-okesa, Ikebukuro- Yasa dance and Yosakoi dance is held. And in the last time “Tokyo Yosakoi Contest” is held. “Tokyo Yosakoi Contest” is the largest Yosakoi event in Tokyo, where Yosakoi dance is held at 8 venues in the district centering on Ikebukuro, and the Tokyo Governor Prize is awarded as the first prize. Every year, the number of the participating teams is beyond one hundred. The strong Yosakoi dancing teams from all over Japan, for example, Hokkaido in the north and Kyushu in the south, join in the contest, and perform various styles of Yosakoi dance. Why not enjoy the hot performance? “Autumn” Firework 2017 in the cinema city Chofu, which is the 35th annual festival this year, is one of the most famous firework festivals, and will be held in the riverbed of Tamagawa River. The official name is “Summer” Firework 2017 in the cinema city Chofu. Now a lot of people know this festival as a characteristic event of this period. Although it is held in the city center, fireworks against the Tama River with grand nature are exhilarating. The kinds of the fireworks are large Star Mine mainly with Odama, something depicting characters and so on. The number of fireworks is expected to be about 8,000 shots. Among them, “Hanabi-ryujyon”, Chofu is said to be the originator, is a special collaboration of movie music and fireworks labeled as “Fireworks in the cinema city Chofu” in order to appeal to the whole country “The cinema city Chofu” from 2014. With the computer control, the music and fireworks are fully synchronized, and the programs of the movie music are performed. If you want to watch fireworks with ease, paid seats with a lot of presence are recommended. For paid seats, check on the website. While feeling the comfortable wind in autumn, let’s look up at the grand fireworks. Noh is a field of Nohgaku, a Japanese traditional art that was called Sarugaku until the Edo period. It was after Meiji Restoration that it became known as Nohgaku with Kyogen. The history of Nohgaku has about 650 years. So far, it has been protected and polished by the actors of each era. In 2001, it received the first “Declaration of Masterpieces of the Oral and Intangible Heritage of Humanity” by UNESCO. UNESCO Memorial Noh was held in order to hand down such valuable tradition from now on. This time, which is the 14th time this year, it is a new project called a Tachiai performance by a female Noh player of Shitegata-Goryu. The young Noh players expected to make a breakthrough in the future will mainly perform in the Tachiai form with one music so that you can enjoy the difference of each school. In the Tokyo 2020 Olympic and Paralympic Games, which is also a cultural festival, the Nohgaku Performers’ Association is actively engaged in various projects, and this performance suggests that you can feel the depth of Nohgaku and the diversity of Japanese culture. No doubt the traditional Japanese entertainment recognized as an intangible heritage by UNESCO is one of the cultures you want to touch in Japan. If you watch the peformance, you will be more interested in Japanese tradition and history. Why do not you touch it? It is “Tokyo Bay Noryo Ship” which allows cruising Tokyo Bay with a beer while looking at the night view of Tokyo Bay with a large passenger ship. The Tokyo Bay Noryo Ship departs from Takeshiba Terminal and travels around the highlight of Tokyo Bay. It is popular not only for tourists but also for those who live in Tokyo, because it can enjoy the night view from the ship that you cannot see easily. In the cruising, you can see Rainbow Bridge, Odaiba, Oi Container Futo, Haneda Airport and so on. The night view from the ship is beautiful and romantic! The party plan is also diverse. In addition to a private room plan, there are also a restaurant plan and an O-zashiki plan. You can drink as much as you like using your ship ticket. On the ship on which street stalls are lined like Yakitori, Yakisoba, Kebab, if you purchase a food ticket for 500 yen, you can enjoy various food. Inside the ship, not only by the meal, but also by the stage of the yukata dancers, you can have a lively time. Also, there is also a Yukata rental & dressing service. That is why it’s okay if you do not have a yukata. It can be said that it can be called a luxurious cruise that we can enjoy yukata, a ship party, a night view and a meal at the same time. “Aqua Park Shinagawa” is a popular aquarium with popular dolphin shows also enjoyable at different times in the daytime and at night. The location is also easy to access. You can enjoy your meal while watching the aquarium where tropical fish swim, and there are various attractions. Aqua Park Shinagawa is holding an event to color the sea world using projection mapping and artwork with the theme of “fireworks”. In the aquarium exhibition area, besides space production, the exhibition of fish according to the theme of the event such as goldfish, etc. 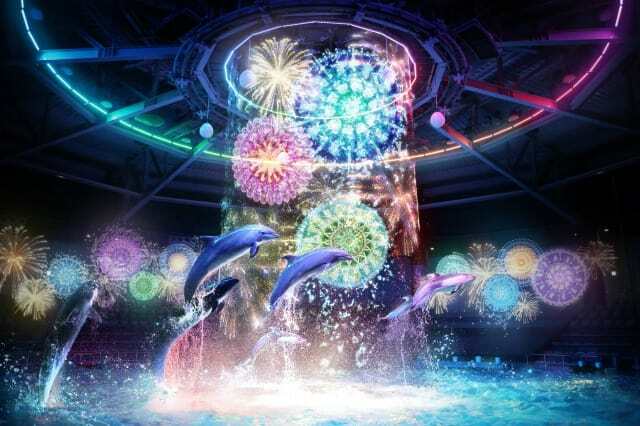 In the evening dolphin performance, in addition to the image, the dolphins perform in the stage using smoke, underwater lighting and sound. You can have a good time of impression and powerfulness. The dolphin performance of the day has the contents of a new sense with the theme of “Wa – Japanese – and near future”. “Splash jump,” you can feel summer so much, is also frequent! The venue will be exciting together. There is different attraction between the day show and the night show. So, if you have time, you can also go both. You should touch the cleverness and combination of digital art which the creative group NAKED presents. Let’s go to see the emotional space with the coolness of the beautiful fish by the performance of the new sensation. Galleries, bookstores, publishers, who drive the world of art photography and art photobooks gather in one place, and photo fairs are held for three days. This fair is an attempt to create an innovative and creative gaze with young photographers that can express it because it is a means of expressing through cameras and lenses. Also, by incorporating the viewpoints of photographers and experts who have been active in the front lines, not just from the viewpoint of young photographers, to provide a place to be a leap opportunity for next-generation writers expected to play an active role in the future. That is also the purpose of the event. At each venue, a lot of programs such as workshops, workshops by kids, screening, the artists’ talk show, the book-signing event, etc. will be held in addition to the exhibition and sale of the work by photographers. By sharing opportunities for learning and experiences, the world of new art photography should spread out. 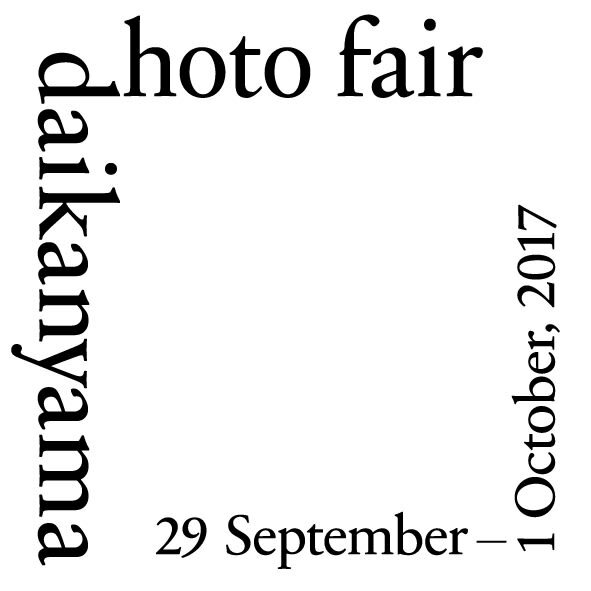 It is a Photo fair held in the fashionable and popular area even in Tokyo. Why do not you explore the city and enjoy the works of up-and-coming photographers? “TOKYO ART BOOK FAIR” is the largest art book fair in Asia that represents the creator of original books and the present of art books. 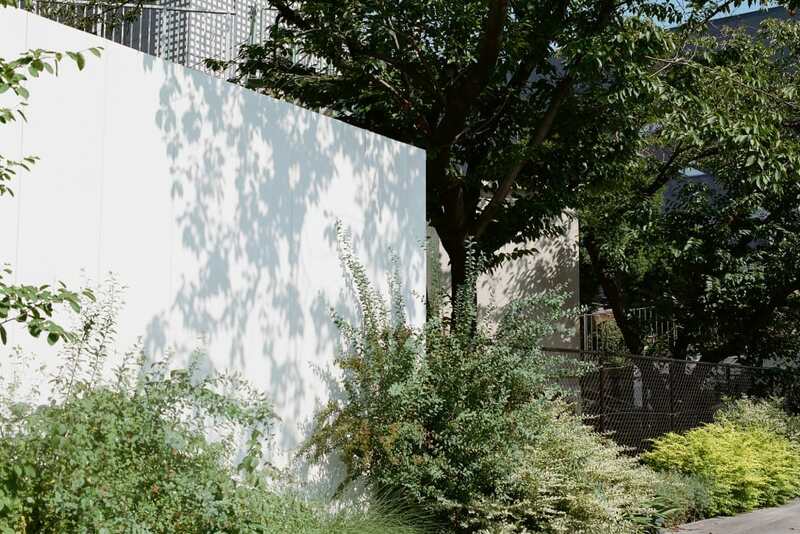 This autumn, Tennozu Isle and Terada Warehouse, which attract attention as a new art district in Tokyo, will be held as the main venues, and in conjunction with galleries, shops and enterprises, the whole area creates excitement with art for four days. Every year, a special project “Guest Country” focusing on one country or region and introducing the publishing culture features Asia where the greatest movement is occurring on the art books’ filed in the world. They will collect art books by energetic publishing companies in China, South Korea, Taiwan, Singapore, and by artists who self-publish energetically. They plan to embody the forefront of publishing culture in Asia. Besides that, they plan to hold a talk event and a symposium to multidirectionally draw attraction of art books by eight winners of the book award “Steidl Book Award Japan” co-founded with German art publisher Steidl. On October 5, “Preview Opening Reception” will be held. Why do not you join them if you are interested in art? “Fullmetal Alchemist” was serialized in the monthly “Shonen Gangan” (by Square Enix Co., Ltd.) from the August 2001 issue to the July 2010 issue. A total of 27 volumes have been released, and the worldwide cumulative circulation issue number of 70 million copies has been recorded. The work is a dark fantasy set in a fictional world where alchemy exists. To commemorate the live-action movie “FULLMETAL ALCHEMIST” to be released on December 1st, “Hagaren (FULLMETAL ALCHEMIST)” will be held at Gallery AaMo, the first large-scale original exhibition ever in history. Besides the original author’s Hiroshi Arakawa’s over 100 valuable manga original drawings, colorful color illustrations and storyboards and original drawings of TV animation series are exhibited. Mr. Arakawa ‘s original paintings drawn only for this exhibition will also be released for the first time. Also, at the venue, you can hear the talk of Elric brothers, popular voice actors of the TV series, and the fans cannot help getting excited by original manuscripts drawn out by Mr. Hiroshi Arakawa. In the entry free zone, there is a space to display costumes and accessories used in the live-action films. There is a lot of production that can immerse you in the world view of the work with animated images and models, which is an original picture exhibition that you can see and feel. There are also sales of original goods limited at the venue. It is a recommended event for those who like Japanese anime. Oktoberfest is held every year in Bavaria, Germany. As the biggest festival in the world, it is held in various places and various kinds of beer are being drunk. This will be held at Odaiba Symbol Promenade Park Central Square. At the venue, you can drink a wide variety of beers, as well as enjoy a variety of dishes such as sausages perfect for beer. It is attractive that you can enjoy the authentic Oktoberfest with traditional German beer and delicious food that won numerous awards at the world-renowned beer competition. In addition to eating and drinking, there is also a music stage, and the venue has a lively atmosphere. The venue “Odaiba Symbol Promenade Park” is a park connecting various facilities in the sub-central area of ​​the coastal seas, connecting the three districts of Aomi, Ariake and Daiba. The night view of Odaiba through the 7 bridges is mysterious ,and light-up by area is romantic. Plants and water, pedestrian space, bustling place are maintained, and it is also a new sight of the coastal subcenter such as rich greenery and waterfront that gives peace, blooming flowers that color the park. Let’s enjoy German food and German music with German beer outdoors while feeling autumn wind! At Tokyo Metropolitan Gymnasium in Sendagaya, ” Sports-Dream 2017 in Tokyo Metropolitan Gymnasium” that allows you to enjoy over 20 kinds of sports for free at the ” Health and Sport Day” will be held. Beijing Olympic Copper Medalist Mr. Nobuharu Asahara, who is known as a legend of track and field athletes, is participating in the overall production as the chairperson of the tournament. “400 m Relay Festival” where many top runners participate is held on the same day. It is an opportunity to feel top runners. Participation is fine even for beginners. Why do not you sweat with athletes on Health and Sport Day?